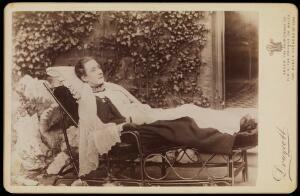 An invalid lady reclining outdoors on a chaise longue. Photograph by J.A. Draycott, 189-.